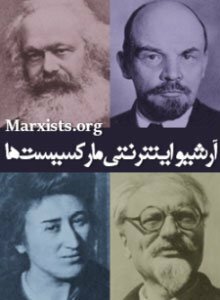 * Special thanks to comrade Arash Dost Hossein for his primary role in the translation of this article. The open letter recently issued by a number of renowned international “cultural” and “academic” figures to Federica Mogherini, asking her to save the Iran Nuclear Deal (JCPOA), has led to many controversies, especially among the left. At first glance, the combination of the signatories of this open letter seems to be contradictory: from Taraneh Aladousti (a celebrity campaigner for Reformists in the run-up to the Presidential election) and Abdul Karim Soroush (an architect and executor of ideological purges of universities during the Cultural Revolution) to Harvey, Chomsky and Žižek who have been swollen as “Leftist- celebrities” internationally and especially in Iran in recent years. But in fact, there are many political commonalities that eventually coalesce them here. When Mogherini herself has made a 180 degree turn from an ex-member of the Italian Communist Youth Federation to the “High Representative of the European Union for Foreign Affairs and Security Policy”, one must not be taken aback by seeing some names in the list! But the telling common denominator for all these “leftist celebrities” is that they do not move beyond criticizing capitalism; for them, revolutionary radicalism has never meant anything, or it has long been abandoned as something “outdated”. That is, instead, the “Realpolitik” which serves as their political compass. A policy that is itself a product of disbelief in the revolutionary potential of the working class and any radical change from below, and that inevitably makes them seek change from above. 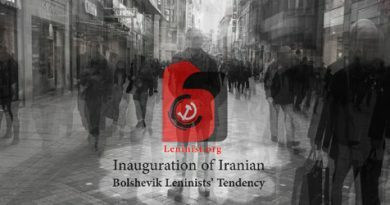 So it has been no coincidence that we have witnessed years of systematic propaganda to make these “leftist” thinkers known in Iranian academic milieus. 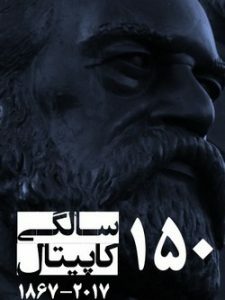 The huge piles of translated works of western authors, like Chomsky, Žižek, Cornell West and Harvey and Butler, and of Iranian authors, like Abrahamain, Asef bayat, Hamid Dabashi and so on, which has seized a significant proportion of Iranian book market; the emergence of “legal” leftist institutions giving lectures based on second-hand translations of such works; together with the foundation of “Tarjoman” (a translation corporate, with strong ties to the security establishment, heavily involved in introducing reformist and post-colonial Leftists’ works in Farsi), all in all show that we are dealing with a calculated project. Let one of those leftist celebrities sneeze today, then you will have piles of interpretations made by such institutions by tomorrow! But unsurprisingly, there has never been made any mention of their rightward, opportunistic political conclusions to the younger generations who have been feeding on their works for so many years. Here we are taking this opportunity to take a brief look at this amalgam of colorful non-revolutionary leftists who have lined up with, among others, Trita Parsi, one of the founders of NIAC (a lobby in the US aimed at saving Iran Nuclear Deal); Farrokh Negahdar, a notorious accomplice with the regime’s brutal massacre of communists; charlatans like Masoud Behnoud etc. Chomsky, lifelong anarchist and explicit opponent of marxism, who until very recently have been constantly interviewd by pro-regime “Press TV” channel, at least does not conceal his deep-rooted hostility to the Bolshevik party, the October Revolution and the first workers’ government in Russia. As has been said, at the center of this historical hostility lies his opposition to the revolutionary role of the working class and this opposition appears in different forms at times. Following the Turkish invasion of “Afrin”, for example, Chomsky’s starting point was the condemnation of the slaughter and the necessity of defending Kurds, however in Chomsky’s view, this “defense” is not something that could be done by the Turkish and international workers’ strikes and demonstrations and through struggle to overthrow Erdugan’s reactionary capitalist rule. He rather turns to another force of “change” which he has always been a critic of: The US imperialism and its military power! On the other side stands David Harvey, a radical critic of capitalism, who has styled himself a “Marxist”. But Harvey’s “Marxism” is of a purely academic and non-revolutionary character. To prove the fraudulent nature of his “Marxism”, It will suffice to see that in spite of his vast and diverse works on Marxist analysis of urban issues, he eventually turned out to be quite the opposite of what he claims to preach. In 2016 he decided to become an iconic whitewashing puppet for one of the most savage urban institutions of the world, i.e, Tehran Municipality! This was despite an open letter from a number of socialists asking him not to participate in Tehran Municipality’s “deceiving propaganda”, which, by the way, he responded with ignoring! In all the writings of Harvey, above all, those addressing the vital question, “what is to be done?”, the absence of the working class revolutionary role and potential exposes itself. Instead, in Harvey’s view, other social forces and new movements, like the Occupy-Movement and the 99% are supposed to be able to replace socialist revolution and the working-class role in overthrow of capitalist state! In spite of all Harvey’s “theoretical” critiques of capitalism, when it comes to politics, he finally resorts to the capitalist state, for he has nothing else to offer! For example, in the heat of the US invasion of Iraq in 2003, he correctly recognized the profit-seeking drive of imperialism behind the invasion, but he believed that this drive could be curbed, if not totally halted, by opening up investment opportunities at home and through a sort of Rooseveltian “New Deal”! In this regard his critique of capitalism does not go beyond reforming capitalism at best. But among all these leftist celebrities, Žižek is a unique phenomenon. An intellectual charlatan and a fake-left figure in the true sense of the word! A look at the subjects of his cranked-out books-from scatology to theology- shows clearly his muddled mind, pompous language and empty intellectual content. Žižek typifies the academic impostors who are on parade in “New Left” circles. He is a staple of publications such as the New Left Review. Žižek, formerly a serious supporter of a section of Iranian ruling bourgeoisie led by “Mousavi” in the 2009 “Green Movement”, in an interview with a Greek magazine in 2013 had declared: “I am fed up with the left that states that it wishes to remain loyal to its principles and dreams of radical solutions and thus always ends up being marginalized”. This sentence alone makes clear his political “principle”: Sheer opportunism. Since then, he has shifted even further to the right with a mind-blowing speed. In 2015, he attacked on the Middle-Eastern refugees fleeing from imperialist wars and ravages as a looming threat to Western culture. One year later, in an interview with the UK Channel 4, he declared that if he were a US citizen, he would vote for Trump! Now this is ridiculous that the same guy has signed a statement in opposition to his supported president! Authors’ total shamelessness in this letter reaches at a record high when they claim Iranian people “have shown their support through their two-time election of Rouhani”, as if there is anything called “free elections” in Iran! Their hypocrisy is repulsive. 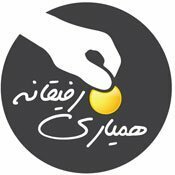 On the one hand, they pretend to be concerned about ordinary people who the burden of renewed sanctions will be inflicted on, but on the other hand, there is not even the slightest mention of last year’s widespread anti-government protests in over 100 cities by workers and the poor, nor is there any mention of the consequent brutal crackdown by this so-called “elected” government! Nowhere in this letter you see any mention of slums or grave-sleepers; of child laborers; of street hawkers being beaten up to death and humiliated by the Municipality’s agents; of workers being pepper-sprayed, beaten and imprisoned for just demanding their back pays; of women being insulted, beaten and arrested on a daily basis for disobeying the compulsory Hijab; of customers of several bankrupt credit institutions who have lost all their savings; of recent protests of teachers and farmers; of the mass imprisonment of activists; of the disastrous environmental situation and the wave of arrests of environmental activists,…and so many other examples which didn’t find their way to the written statement claiming to reflect the aspirations of “Iranian people”! The long list of “rightward-shifts” of this “left-reformism” has no end. When faced with an imperialist threat or military attack, some of them support the weaker bourgeoisie, while others expressly support “humanitarian” wars of imperialism! An example of this is found in Professor Gilbert Achcar! In March 2011, Just two days after the passage of UN Security Council Resolution 1973 which gave the green light for the Libyan war, Achcar explicitly endorsed the NATO bombardment as a humanitarian option to push back Qaddafi’s attacks on the opposition! In the final analysis, the opportunism and the massive “rightward-shifts” of this “left-reformist” celebrities is nothing but the mere result of their class and career interests, lack of revolutionary political principles, replacing revolutionary Marxism with academic fraudulent Marxism, and ultimately becoming a puppet of the mainstream media whose main task is depicting Marxism as a neutral, sterilized and emasculated science. 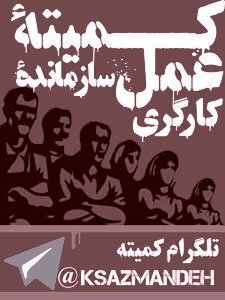 Unfortunately, criticisms of political stances of this “left-reformism” (including the recent open letter to Mogherini) generally have come from far-right and warmongering tendencies, such as PMOI ( People’s Mujaheddin Organization). Trump’s rise to power and consequently John Bolton’s assignment as the US National Security Adviser, gave a new life to the Islamic Republic’s right-wing opposition, from monarchists to PMOI (which must be rightly called the “Islamic Republic in exile”!). 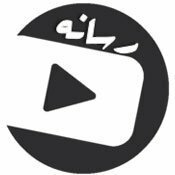 The whole effort of this opposition is focused on the overthrow of the Islamic Republic regime through harsh imperialist sanctions accompanied by a possible military attack, and to bring about a “democracy” we are supposed to seek in the ruins of Afghanistan, Iraq, Libya and Syria! In this analysis, those who plead with Mogherini and the European Union to save the Islamic Republic and JCPOA, are as reactionary as those who plead with trump to get him to topple the Islamic Republic of Iran. In this conflict, we constitute the third front. The overthrow of the Iranian regime in itself doesn’t define our goals; But for us, what matters is the social forces that do the overthrow and the alternatives they represent. 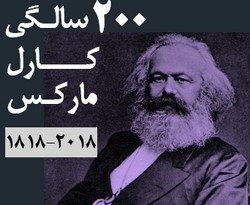 In our opinion, protecting the political independence of the working class from different factions within the ruling capitalist regime of Iran and, at the same time, from imperialism is a question of life and death for the labor movement. Our task is to do away with the capitalist state (whatever the governmental forms it takes) once and for all. Faced with the threat of an imperialist military attack, we side with neither the “domestic” bourgeoisie nor the “external” force. 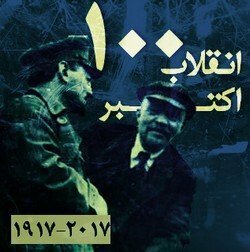 Instead, in this case, our immediate task is to paralyze their war machine and turn the war into a revolution against both reactionary sides of this conflict by forming a third revolutionary front; a front consisting of the working class of Iran, the region and belligerent countries. Our task is then to expose the reactionary nature of both sides of this capitalist war and their infantries. The position to which Žižeks and Harveys have downfallen today- best expressed in the recent open letter to Mogherini- shows the inevitable dead-end of this “academic Marxism” and left-reformism. 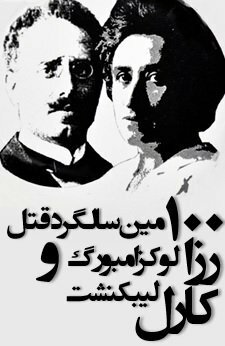 Massive volumes of their translated works that younger generations in Iran have been feeding on through all these years via different publications and lectures, haven’t contributed to anything but ever more political confusion among them. Instead, what protects the youth from these bourgeois and petty-bourgeois leftist-ideological bombardment is returning to the tradition of revolutionary Marxism, the experiences of the Bolshevik Party, the October Revolution, the Left Opposition, the Fourth International, and most importantly relying on a revolutionary organization!